Personal site: for and against" The site-building is a way of “self-reflection” and “self-expression” of your professional activity. Some people think it has more drawbacks than advantages. It is true that Personal site has given us the possibility of reading vast quantities of information on an unlimited number of ready topics, presentation and conspectus, interesting facts, useful for the future lesson. However, the personal site has its drawbacks. The main one is instability - periodically something doesn't work servers and so on. Secondly, it is necessary to call hours to the support service. In addition, it can be quite costly to log onto and use. All in all, the personal site is a useful addition to our lives when it is used wisely, but it is important not to think of it as the only source of information and to use books as well. It is cool to have your own site. The objective of the lesson does not specify what the student will actually do that can be observed. The lesson assessment is disconnected from the behavior indicated in the objective. The materials specified in the lesson are extraneous to the actual described learning activities. The instruction in which the teacher will engage is not efficient for the level of intended student learning. The student activities described in the lesson plan do not contribute in a direct and effective way to the lesson objective. A lesson plan that contains one or more of these mistakes needs rethinking and revision. Below is a rationale and guide to help you develop effective lesson plans and avoid the five common mistakes. The purpose of a lesson plan is really quite simple; it is to communicate. But, you might ask, communicate to whom? The answer to this question, on a practical basis, is YOU! The lesson plans you develop are to guide you in helping your students achieve intended learning outcomes. Whether a lesson plan fits a particular format is not as relevant as whether or not it actually describes what you want, and what you have determined is the best means to an end. If you write a lesson plan that can be interpreted or implemented in many different ways, it is probably not a very good plan. This leads one to conclude that a key principle in creating a lesson plan is specificity. It is sort of like saying, "almost any series of connecting roads will take you from Key West Florida to Anchorage Alaska, eventually." There is however, one any only one set of connecting roads that represents the shortest and best route. Best means that, for example getting to Anchorage by using an unreliable car is a different problem than getting there using a brand new car. What process one uses to get to a destination depends on available resources and time. So, if you agree that the purpose of a lesson plan is to communicate, then, in order to accomplish that purpose, the plan must contain a set of elements that are descriptive of the process. Let's look at what those elements should be. Preliminary Information - The development of a lesson plan begins somewhere, and a good place to start is with a list or description of general information about the plan. This information sets the boundaries or limits of the plan. Here is a good list of these information items: (a) the grade level of the students for whom the plan is intended; (b) the specific subject matter (mathematics, reading, language arts, science, social studies, etc. ); (c) if appropriate, the name of the unit of which the lesson is a part; and (d) the name of the teacher. The parts each part of a lesson plan should fulfill some purpose in communicating the specific content, the objective, the learning prerequisites, what will happen, the sequence of student and teacher activities, the materials required, and the actual assessment procedures. Taken together, these parts constitute an end (the objective), the means (what will happen and the student and teacher activities), and an input (information about students and necessary resources). At the conclusion of a lesson, the assessment tells the teacher how well students actually attained the objective. Information about the students for whom the lesson is intended. This information includes, but is not limited to the age and grade level of the students, and what they already know about what you want them to learn. Information about the amount of time you estimate it will take to implement the lesson. Descriptions of the materials that will be required by the lesson, and at some point, the actual possession of the materials. Information about how you will acquire the physical materials required. What are the inputs? This means you have the information (content description, student characteristics, list of materials, prerequisites, time estimates, etc.) necessary to begin the plan. What is the output? This means a description of what the students are supposed to learn. What do I do? This means a description of the instructional activities you will use. What do the students do? This means a description of what the students will do during the lesson. How will the learning be measured? This means a description of the assessment procedure at the end of the lesson. Content: Indicate what you intend to teach, and identify which forms of knowledge (concept, academic rule, skill, law and law-like principles and/or value knowledge) will be included in the lesson. Prerequisites: Indicate what the student must already know or be able to do in order to be successful with this lesson. (You would want to list one or two specific behaviors necessary to begin this lesson). Instructional Objective: Indicate what is to be learned - must be a complete objective. Instructional Procedures: Description of what you will do in teaching the lesson, and, as appropriate, includes a description of how you will introduce the lesson to the students, what actual instructional techniques you will use, and how you will bring closure to the lesson. Include what specific things students will actually do during the lesson. Materials and Equipment: List all materials and equipment to be used by both the teacher and learner and how they will be used..
. Assessment/Evaluation: Describe how you will determine the extent to which students have attained the instructional objective. Be sure this part is directly connected to the behavior called for in the instructional objective.
. Follow-up Activities: Indicate how other activities/materials will be used to reinforce and extend this lesson. Include homework, assignments, and projects. Self-Assessment (to be completed after the lesson is presented): Address the major components of the lesson plan, focusing on both the strengths, and areas of needed improvement. A good idea is to analyze the difference between what you wanted (the objective) and what was attained (the results of the assessment). Of course, there is an immense difference between being able to plan and actually being able to carry out the plan. However, if you have thought carefully about where you are going before you begin writing your plan, the chances of your success, as well as the success of your students, are much greater. Главные секреты изучения иностранного языка. Знаете ли вы, что существует 7 секретов изученрия иностранного языка. Главное — освоение иностранного языка должно доставлять вам удовольствие! Мечтать о цели, получать удовольствие от процесса.Если процесс не нравится, значит что-то не так. Мотивация возрастает, когда виден и наблюдаем успех. Поэтому нужно знать,какой путь пройден. Секрет 2: восприятие аутентичного, живого языка. Осваивать только аутентичный контент, видео, аудио и тексты, озвученные и написанные носителями языка. Впитывать живой язык, как губка. Общаться с носителями языка. Использовать базовый принцип изучения и выработки языковых навыков — копирование и подражание речи носителей языка. При этом особое значение имеет доведение навыков до автоматизма. Развитие каждого вида речевой деятельности влияет на развитиеостальных. Очень важно использование и визуальной, и слуховой, и моторной памяти, тренировать восприятие на слух, проговаривание, письмо.Уделять внимание тому, что дает бОльший эффект. Погружаться в иностранный язык настолько, насколько это приятно, час, два или три в день. Очень важно найти оптимум. Слишком мало — неэффективно, слишком много — может привести к усталости от процесса, что противоречит первому принципу. Продвигаться к цели каждый день, регулярно. Регулярность порой важнее интенсивности. Так вырабатывается привычка и устойчивый прогресс. Учесть свои индивидуальные качества, поставить практичные цели. Использовать наиболее практичные и удобные инструменты для освоения иностранного языка. Анализ проделанной работы, при создании подкаста. Проведя краткий анализ, следует сказать что данная методика привлекает внимание своими большими возможностями для педагога в самостоятельном составлении заданий; что позволяет учитывать не только индивидуальные особенности учеников, но и особенности класса в целом. Кроме того, позволяет задействовать все виды речевой деятельности. Но работа, конечно для учеников , предстоит колоссальная по изучению данной методики. Что касается рефлексии и выполнения заданий в целом, то следует отметить, что на сайте http://81131.podomatic.com/ создала задания для обучения аудированию в формате ЕГЭ трех уровней сложности(В1, А1-А7, А8-А14). Кроме того, добавила задания для проверки и оценки работы, обучающихся над подкастом дома, советы, рекомендации и стратегию выполнения задания. Делая вывод, можно сказать, что детям очень понравилась данная форма работы, так как очень интересно находить и выполнять данные в Интернете; во вторых - нет возможности получить неудовлетворительную оценку, дает возможность слушать запись столько раз сколько это необходимо, если возникают проблемы в понимании; в третьих - есть ответы, которые можно сравнить со своими; ну и конечно, что не мало важно - есть рекомендации для выполнения заданий на каждом уровне, что позволяет более детально понять содержание и изучить стратегию выпонения данных заданий. Использование служб Google-Apps 1-й этап. Приняла участие в первом этапе курса по использованию служб Google-Apps для организации внеурочной деятельности. На данном этапе познакомилась с сайтом, рабочими материалами и заданиями. Кроме того, выполнила несколько практических заданий : заполнила анкету, создала слайд в презентации " Давайте познакомимся" и зарегистрировала аккаунт в Google. Подкастинг – очень актуальная интернет-технология именно для целей обучения иностранным языкам. Для развития аудитивных умений рекомендую использовать podcast. Что такое podcast? Podcast – это вид социального сервиса, позволяющий прослушивать, просматривать, создавать и распространять аудио- и видеопередачи во всемирной сети. В отличие от обычного телевидения или радио podcast позволяет прослушивать аудио-файлы и просматривать видеопередачи не в прямом эфире, а в любое удобное для пользователя время. Все, что необходимо, – это скачать выбранный файл на свой компьютер. Учащиеся могут, как прослушивать или просматривать podcasts, так и создавать свои собственные podcasts на любые темы. По длительности podcasts могут быть от нескольких минут до нескольких часов. В сети Интернет можно встретить как аутентичные podcasts, созданные для носителей языка (например, новости ВВС), так и учебные podcasts, созданные для учебных целей. Наиболее эффективный способ найти необходимый podcast – обратиться к директории podcast, выбрать интересующую категорию и просмотреть список podcasts, доступных к скачиванию. Для изучающих английский язык директория podcast размещена по адресу www.podomatic.com. Аннотация: При подготовке к современному уроку в свете новых ФГОС необходимо продумывать этапы конструирования урока, определить тему учебного материала,тип дидактической цели,тип урока, отобрать содержание учебного материала и т.д. Технологическая карта отображает основную дидактическую структуру урока. 1. Совершенствование навыков устной речи по теме «распределение обязанностей перед школьной вечеринкой». · Разыгрывать восстановленный диалог по ролям с опорой на образец. · Рассказывать о любимом времени года, объясняя свой выбор. · Обсудить в парах продолжение прочитанной истории. 2.Развитие навыков аудирования. Умение понимать на слух запрашиваемую информацию в тексте (телефонном разговоре). 3. Совершенствование навыков чтения с пониманием основного содержания. 5.Развитие лексических навыков..Научиться употреблять в речи новую лексику по теме «Подготовка к вечеринке». · Обсуждать в парах продолжение прочитанной истории. · Читать текст с пониманием основного содержания. · Умение понимать на слух запрашиваемую информацию в тексте (телефонном разговоре). Метапредметные :Развитие умения планировать свое речевое и неречевое поведение. I could not see him much less speak to him. I do not know why he is late, unless he has lost his way Я не знаю, почему он опоздал, разве что заблудился. The house looks nothing like it did ten years ago. За десять лет дом изменился до неузнаваемости. Таким образом, подставляя нужные слова в данные шаблоны можно значительно разнообразить эмоциональный заряд своих высказываний. Конечно, это далеко не полный список экспрессивных форм, и, к сожалению, нет такого словаря, в котором содержалось бы большинство экспрессивных форм. Кто ищет -тот всегда найдет! В английском языке кроме лимериков и клерихью, существует ещё один вид стихотворного ритма - это Буриме. Считаю, что использование Буриме очень актуально и может активно применятся на уроках английского языка в качестве фонетическо-речевых разминок. Today is the day of St. Valentine. Will you take its loving part? I'd like to take you by my last surprise. Please, don't miss it, don't miss! 5 этап. My project. Сетевые проекты. http://www.novowiki.ru - Предлагаемый проект проводится при изучении темы «Английский язык – язык международного общения и его роль в многоязычном мире и при выборе профессии» по УМК О.В.Афанасьевой «ENGLISH X” и предлагает исследовать новейшие неологизмы и выявить самые распространённые способы их образования. В процессе работы предполагается ещё раз, в нетрадиционной форме, обобщить способы словообразования, что является составной частью заданий формата ЕГЭ. Знание окказионализмов позволит учащимся успешно справиться с заданием С1 (написание личного письма), где допустимо использование неформальной лексики. Предлагаемые для исследования материалы и сайты несомненно вызовут интерес у учащихся и активизируют творческий потенциал. Учащиеся проводят исследования по поставленным проблемным вопросам, создают общую презентацию. По итогам будет проведена защита презентации с обсуждением проблемных вопросов. В завершении коллективно обсуждаются выводы, служащие ответом на основополагающий вопрос проекта, оцениваются выступления групп в соответствии с критериями оценивания работы групп. Проект предназначен для обучающихся 3-4 классов, продолжительность проекта 4 недели: 8 занятий, 16 часов. - Проект направлен на развитие личности обучающихся, их умение работать как самостоятельно, так и в группах, формирование таких качеств, как ответственность, инициативность. Работая над проектом, обучающиеся вкратце знакомятся с праздниками Англии и, более подробно, с Днем матери. Дети учатся работать со словарями, энциклопедиями, с Интернет-ресурсами, что способствует расширению их словарного запаса и воспитанию интереса и изучению английского языка. - знакомятся с английскими праздниками, в частности – День матери в Англии. 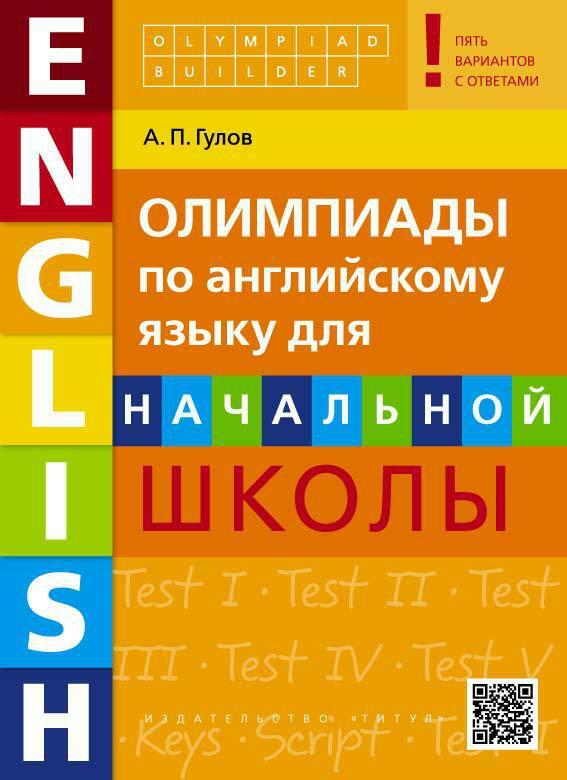 http://wiki.kgpi.ru - Английский язык, 10-11 класс. – проект направлен на ознакомление учащихся с темой «Типичный Английский Дом». Также проект целью проекта является обогащение знаний учащихся и их ознакомление с национальными особенностями народа Англии. http://wiki.niro.nnov.ru –для 8 класса, Проект «Travelling about Canada» посвящен расширению представления учащихся о Канаде как стране изучаемого языка. Учащиеся сравнивают свои личные ассоциации о Канаде до проекта и после выполнения проекта о виртуальном путешествии поКанаде. Школьники выполняют исследование символов – ценностей страны изучаемого языка. Это символы-личности, символы – животные, символы-изобретения, символы- города, символы – язык, слова. Выполняя проект, школьники знакомятся с Канадой как страной, внесшей огромный вклад не только в спорт (как свидетельствует предварительный опрос учащихся), но и страной богатых возможностей в разных областях современной жизни. Проект показывает межпредметные связи английского языка. Тема 1 "Знакомство с он-лайн фоторедактором Pixlr.com"
Считаю, что такие игры очень полезны, они развивают память, внимание, наблюдательность, мышление и многое другое. Игра – это чуть ли не единственный способ саморазвития и познания мира как для детей так и для взрослых. И родители должны играть вместе с ними, пока ребенок еще маленький гений, и впитывает знания как губка. Не стоит относиться к играм, как к бесцельно проведенному времени. Если подобрать игру правильно, то она сможет помочь ребенку освоить счет и азбуку, разовьет абстрактное и образное мышление, научить быть аккуратным и концентрировать внимание на важных вещах. Кроме того, процесс обучения превратится в захватывающее действие! «Флешки» хороши тем, что они не требуют долгой установки, и позволяют играть в понравившуюся игру сразу же, как только вы зашли в интернет. Получить новые знания, в расширении кругозора, в появлении новых интересов и в успешном усвоении школьной программы - все это можно осуществить благодаря обучающим играм! 4 этап. Социальные сервисы. Флеш-карты. Также не осталась равнодушна к сайту Funnelbrain. Этот сайт привлек тем, что даёт возможность для совместного обучения с бесплатным набором карточек, викторин и обучающие игр. Это здорово, каждый может внести свою лепту, изменяя вопросы и ответы, а также добавлять медиа-приложения - фотографии, видео, аудио записи голосовых звуков и математические уравнения. И вновь Елена Александровна нас порадовала замечательным сетевым ресурсом. Изучила предложенный материал. Очень понравился www.SpiderScribe.com, зарегистрировалась на нем. Простой текст, лёгкая вставка картинок , можно устанавливать дату, есть карта местоположения, можно вставлять файлы с YouTube. Больше всего мне понравилось, что можно работать совместно над картой. Всё очень быстро и доступно. Этапы: знакомство с понятием «человечество», деление на нации, предыстория через просмотр фильма о начале цивилизации на английском языке, и настоящее время через мини сюжет о проблемах человечества, завершение – высказывания.